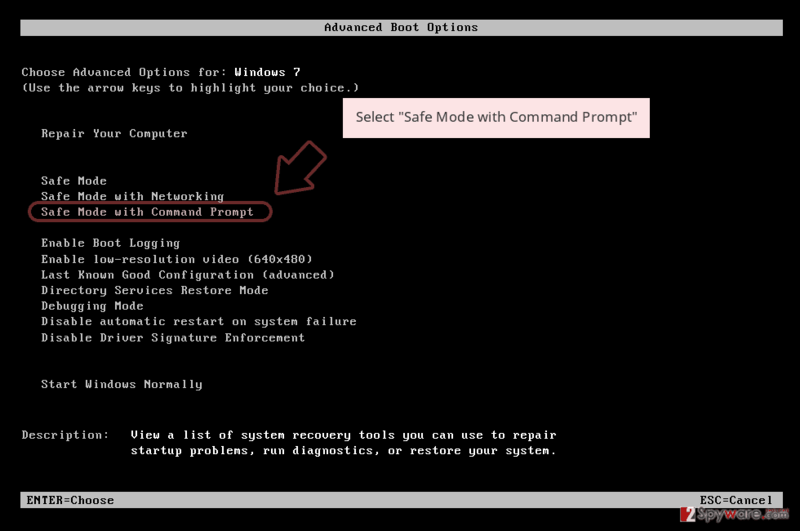 How can Trojan.Cryptolocker infect my computer? How to remove Trojan.Cryptolocker virus? Trojan.Cryptolocker is a malicious trojan horse, which has been actively used for spreading ransomware-type viruses on the Internet. 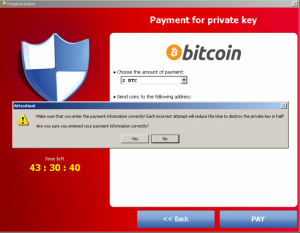 It was discovered that this threat can be related to such threats as Cryptolocker, CTB Locker, Locker and many other ransomwares that are capable of encrypting each of victim’s files once they enter their target PC system. After doing so, they start asking to pay a ransom in exchange for a decryption key that is usually needed when trying to decrypt encrypted files and recover connection to them. 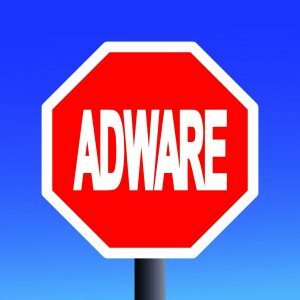 If you have just been affected So, there is no doubt that you should try to stay away from Trojan.Cryptolocker and each of related ransomwares as far as possible. Otherwise, they can easily lead you to the loss of your precious files and money. 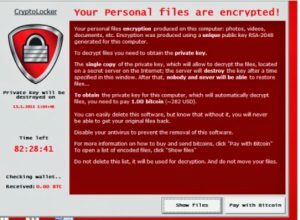 Once Trojan.Cryptolocker is installed on the system, it downloads a required virus and hides deep inside the computer. Why it does that? 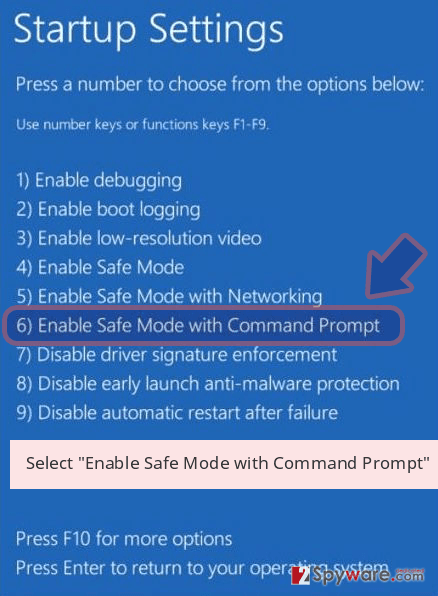 In most of the cases, such trojans wait for additional commands from their owners. 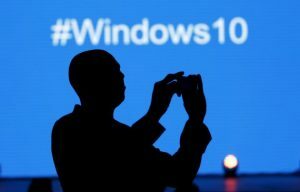 Hackers can easily use them for downloading other malicious programs to infected PC system, blocking certain websites, collecting personally identifiable information about the victim and so on. Besides, such threats can also cause slow downs of the system, redirects and similar issues that should never be ignored. 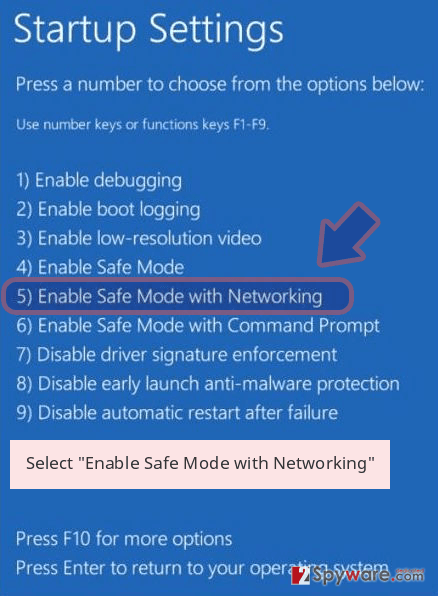 In this case, you should immediately scan your computer with the reputable anti-spyware and remove malicious files from it. 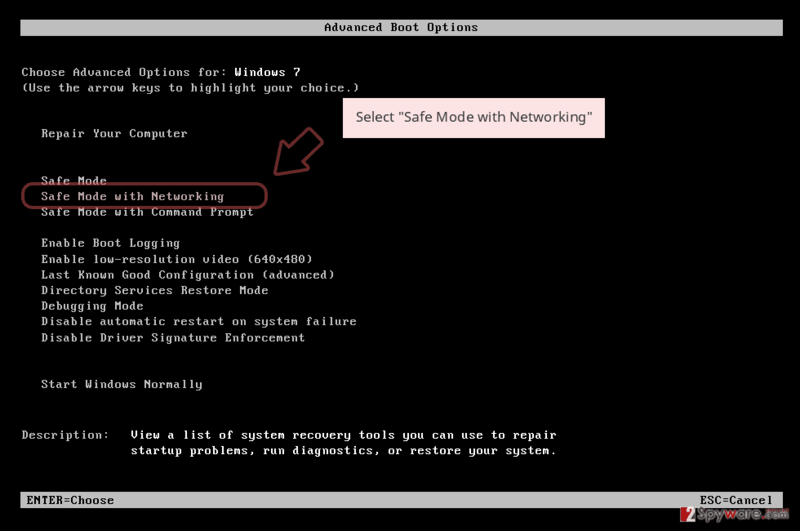 For that we highly recommend using Reimage or other reputable security software. Beware that Trojan.Cryptolocker can try to infiltrate your computer as an “important” email attachment that claims to be a warning from police, the tax department, a popular seller and any other reputable party. Typically, it hides inside the email attachment that, after being downloaded to the system, helps for Trojan.Cryptolocker to download additional files to it. 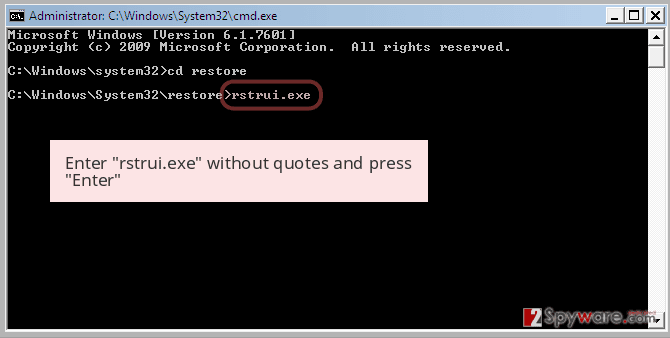 However, sometimes this Trojan arrives to its target computer once the victim is tricked into clicking the misleading link that can also be incorporated to the email’s body. So, make sure that you stay away from any suspicious link as well! If you think that your computer has been infected by this trojan, which is used to spread ransomware, you should use a guide below and remove this malware from your computer. 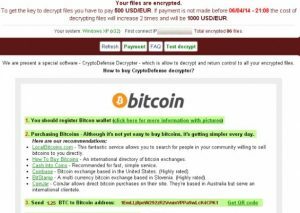 Finally, we have to add that you should think about making extra copies of your important files because, as we have already warned you, Trojan.Cryptolocker has been actively used for spreading crypto-ransomwares. In order to increase the immunity of your files, you should use USB external hard drives, CDs, DVDs, or simply rely on online backups, such as Google Drive, Dropbox, Flickr and other solutions. 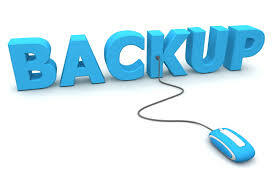 More information about backups can be found in this post: Why do I need backup and what options do I have for that? Log in to your infected account and start the browser. Download Reimage or other legitimate anti-spyware program. Update it before a full system scan and remove malicious files that belong to your ransomware and complete Trojan.Cryptolocker removal. 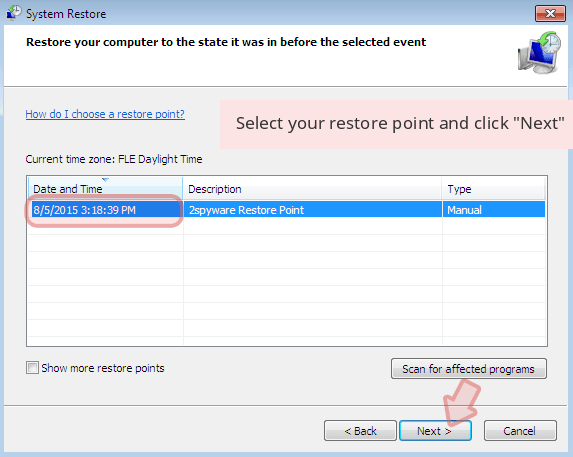 When a new window shows up, click Next and select your restore point that is prior the infiltration of Trojan.Cryptolocker. After doing that, click Next. 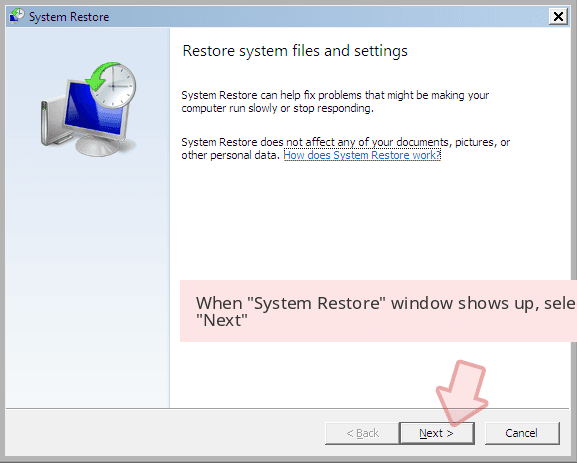 Once you restore your system to a previous date, download and scan your computer with Reimage and make sure that Trojan.Cryptolocker removal is performed successfully. This entry was posted on 2015-08-12 at 03:15 and is filed under Trojans, Viruses. 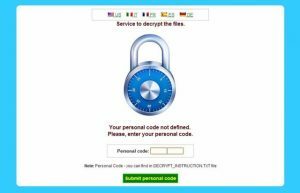 How did you remove Trojan.Cryptolocker?